Mount Gede-Pangrango National Park located only 50km away from Jakarta is one of the oldest and best preserved national parks in Indonesia. 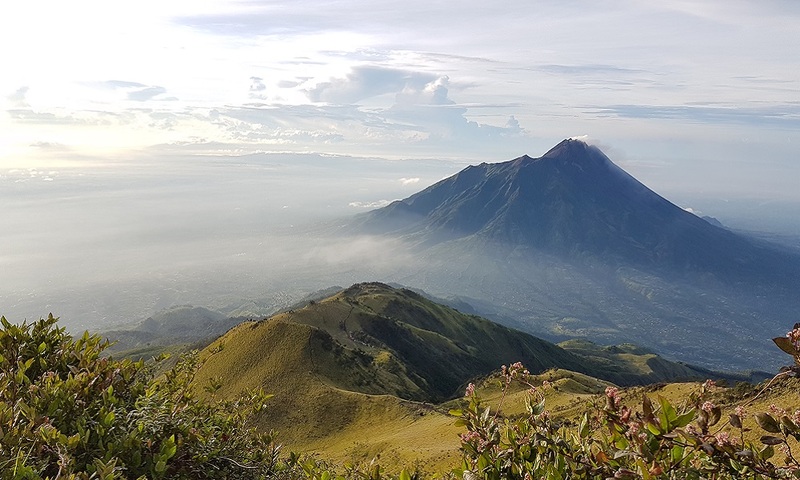 The park is centred on two volcanoes; active Mount Gede (2,958m) and dormant Mount Pangrango (3,019m) whose summits are connected by a high saddle known as Kandang Badak. The national park is associated with some famous names in history. The famous naturalist Alfred Russel Wallace was so impressed by its beauty and uniqueness that he wrote, “by far the most interesting incident in my visit to Java was a trip to the summits of the Pangrango and Gede mountains”. The trail on the south-eastern slopes was found by Sir Thomas Raffles in 1811 while the earliest recorded summit climb was by C.G.C. Reinwardt in 1819. 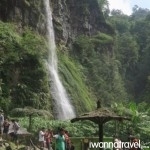 The trail passes through some interesting and beautiful landscapes like Alun-alun Suryakencana – a highland meadow covered with edelweiss flowers, a 50m high Cibeureum Waterfall, a blue colour Biru Lake, some hot springs etc. The park is also rich in wildlife and birds such as the Java Gibbon which is endemic to Java, Javan langur, leopards, pangolin, wild boars, hawk eagle, owl etc. Upon arrival at Soekarno Hatta International Airport in Jakarta, you will be picked up by our friendly driver to your accommodation in Geulis (approx. 3 hrs drive). 600am – Wake-up call. 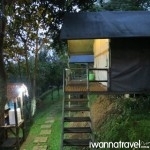 After breakfast, you will be transferred via mini-van to the trailhead at Gunung Putri Gate (1 hr drive). 830am – Climb registration follow by safety briefing at the national park post at Gunung Putri Gate. 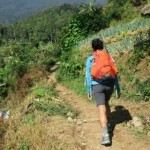 900am – Start your climb towards Alun-alun Suryakencana (2,705m) a beautiful meadow covered with edelweiss flowers. 100pm – Reach Alun-alun Suryakencana where you will stop for lunch. 130pm – Continue your climb to the summit of Mount Gede. 230pm – Reach the summit. Rest and enjoy the scenery. 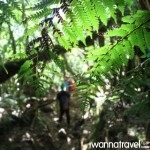 300pm – Descend to Kandang Badak shelter where you will camp for the night. 500pm – Arrive at Kandang Badak shelter and find your tents already set up by our porters. 630pm – Enjoy your camping dinner. Turn in early for the next day sunrise summit hike. 230am – Wake-up call. You will be served some coffee/tea and bread before your summit climb. 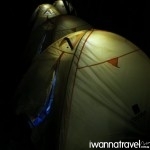 315am – Start the climb to the summit of Mt Pangrango. 600am – Reach the summit and enjoy the sunrise view. 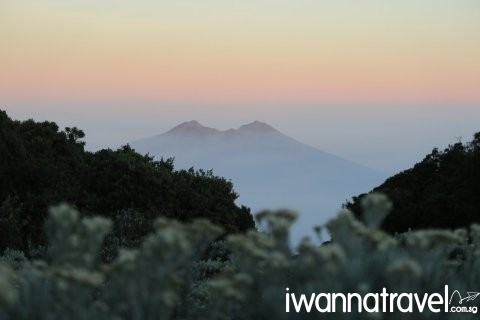 Descend to Alun-alun Mandalawangi where you will take a rest and enjoy a view of Mt Salak. 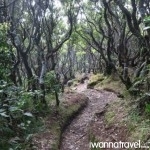 630am –Descend to Kandang Badak shelter. 900am – Back to camp site and enjoy your breakfast before breaking camp. Descend all the way to Cibodas. 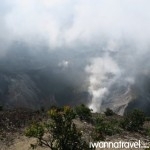 Along the way, you will pass by a hot spring and Cibeureum Waterfall which you can visit and take a dip. Lunch will be served along the way. 300pm – Arrive at Cibodas. Take a short beak before transferring via mini-van to your accommodation in Geulis. 600pm – Dinner time. Rest and relax at your own leisure till bed time. 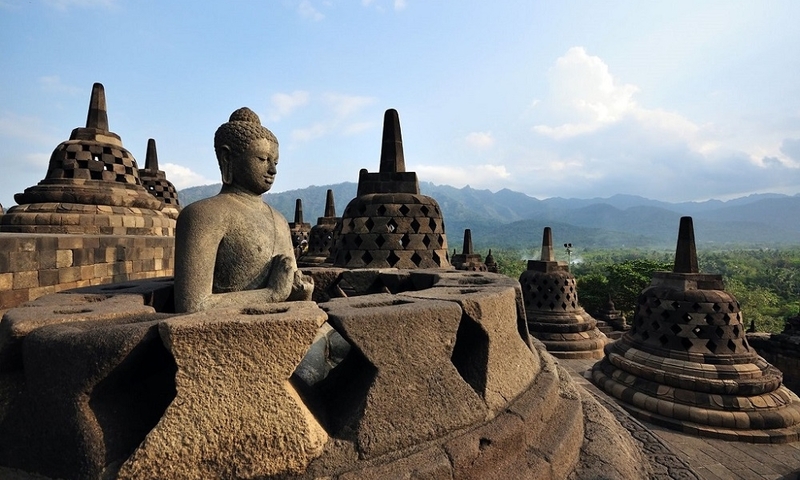 Morning – Transfer to Jakarta airport for your flight home. 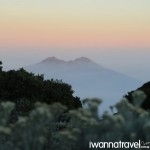 Temperature: It gets cold in the mountain at night and in the early morning. Warm clothing is an absolute must. 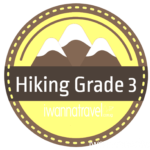 Difficulty Level: Mt Gede and Mt Pangrango are suitable for anybody of reasonably good fitness and with prior mountain trekking experience (e.g. Mt Ophir). 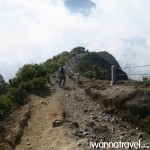 The summit climb is not as steep compared to Mt Rinjani or Mt Kerinci. Porters will be provided for carrying communal equipment, food and water. But you are still expected to carry your own personal daypack of around 5 kilograms. Normal trekking throughout. No rock climbing or technical climbing skills needed. We can also arranged a 2D1N trip with pickup from Jakarta at around 4am. The trip will end late night with a drop off at Jakarta on day 2. As traffic can be unpredictable, we will advise customers to avoid taking a late flight on day 2 but fly off on day 3 morning instead. Disclaimer: IWT LLP, acts only as agent for the client in acquiring transportation, accommodations, sightseeing, trekking and other services for the clients’ benefit, and on the express condition that IWT LLP shall not be liable for any loss, damage, mishap, death, bodily injury, delay, defect, omission or irregularity which may occur or be occasioned, whether by reason of any act, negligence or default of any company or person engaged in or responsible for carrying out any of the arrangements, or otherwise in connection therewith. IWT LLP is to be released from all liabilities deriving from acts of terrorism, hijacking, civil unrest, natural calamities, labor strikes, thefts or any other factors beyond IWT LLP’s control. 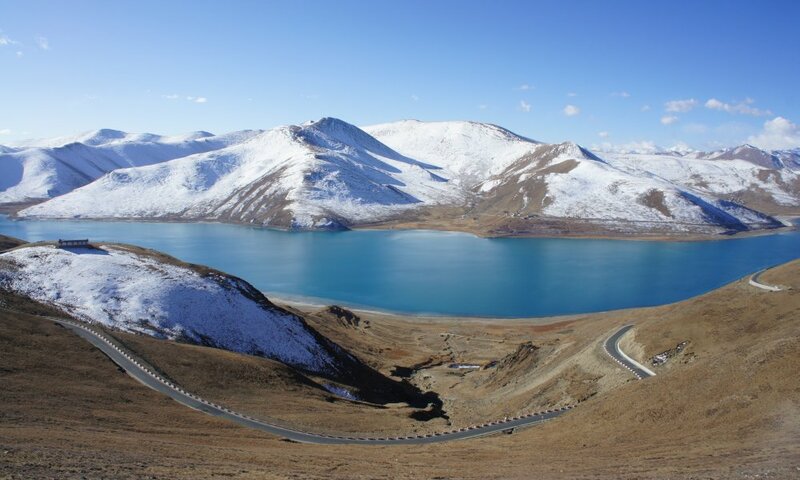 IWT LLP reserves the right to alter or modify itineraries in anyway for the interests of tour members or due to any other uncontrollable circumstances such as weather or other local conditions. See our full Terms and Conditions.